What’s required? What’s not? And what’s just good policy? Once you have great employees on board, how do you keep them from jumping ship? One way is by offering a good benefits package. 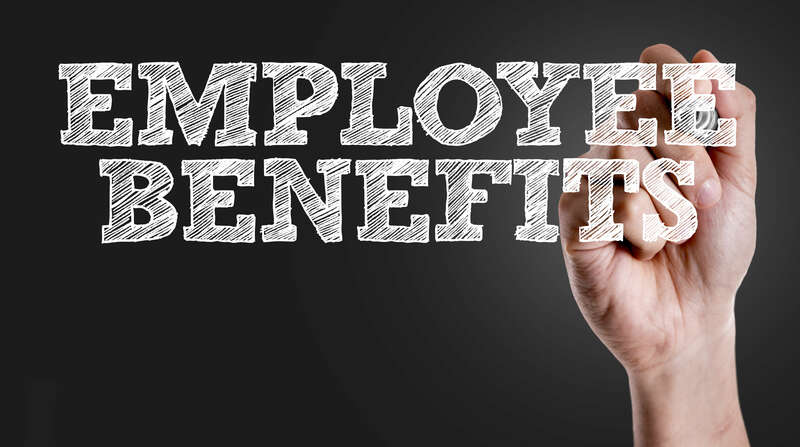 Many small-business owners mistakenly believe they cannot afford to offer benefits. But while going without benefits may boost your bottom line in the short run, than penny-wise philosophy could strangle your business’s chances for long-term prosperity. “There are certain benefits good employees feel they must have,” says Ray Silverstein, founder of PRO, President’s Resource Organization, a small-business advisory network. Heading the list of must-have benefits is medical insurance, but many job applicants also demand a retirement plan, disability insurance and more. Tell these applicants no benefits are offered, and often top-flight candidates will head for the door. Give employees time off to vote, serve on a jury and perform military service. Comply with all workers’ compensation requirements. Withhold FICA taxes from employees’ paychecks and pay your own portion of FICA taxes, providing employees with retirement and disability benefits. Pay state and federal unemployment taxes, thus providing benefits for unemployed workers. Contribute to state short-term disability programs in states where such programs exist. Comply with the Federal Family and Medical Leave (FMLA). In reality, however, most companies offer some or all of these benefits to stay competitive. Most employers provide paid holidays for New Year’s, Memorial Day, Independence Day, Labor Day and Thanksgiving day and Christmas day. Many employers also either allow their employees to take time off without pay or let them use vacation days for religious holidays. Most full-time employees will expect one to two weeks paid vacation time per year. In explaining your vacation policy to employees, specify how far in advance requests for vacation time should be made, and whether in writing or verbally. There are no laws that require employers to provide funeral leave, but most do allow two to four days’ leave for deaths of close family members. The federal Family and Medical Leave Act (FMLA) requires employers to give workers up to 12 weeks off to attend to the birth or adoption of a baby, or the serious health condition of the employee or an immediate family member. After 12 weeks of unpaid leave, you must reinstate the employee in the same job or an equivalent one. The 12 weeks of leave does not have to be taken all at once; in some cases, employees can take it a day at a time. In most states, only employers with 50 or more employees are subject to the Family and Medical Leave Act. However, some states have family leave laws that place family leave requirements on businesses with as few as five employees. To find out your state’s requirements, contact you state labor department.